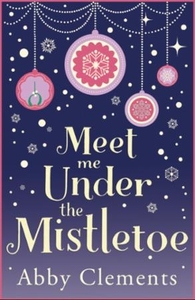 'A warm and charming winter treat, sparkling with wit and the feel-good factor' Miranda Dickinson. The perfect rom-com for fans of THE HOLIDAY. Will a Christmas house swap save a struggling relationship? Childhood friends Laurie and Rachel used to be inseparable - but their lives have now taken very different paths. But when Rachel's mother-in-law needs urgent treatment in London, and Laurie is desperate to flee a series of work disasters they decide to house swap. Soon gentle Rachel is braving the city's mean streets and, out in the country, Laurie finds herself completely unable to work an Aga. But above all, the relocation tests both the girls' romantic relationships in weird and wondrous ways. Will they make it home for Christmas? And will they want to??? !